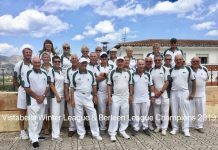 San Luis Bowls Club Report 15.12.17. by Sheila Cammack. Premier 20 Knock-Out competition. 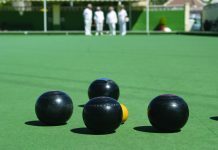 Sunday 10th an incredibly close match; with a few ends to go it looked as though Javea had the upper hand & it really could have gone either way. 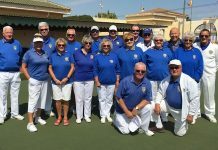 But thanks to all the San Luis players holding their nerve we won 5-3, Home: Colin Jackson 21-14, Kath Reid & Tom Hill 14-12, Ann Holland, Keith Phillips, Peter McEneany, Mal Hughes 13-12. 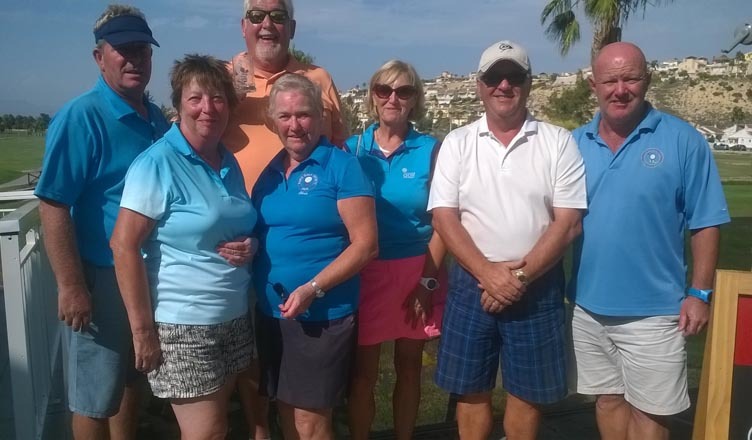 Away: June & Keith Jones 15-14, Shirley Verity, Ray Clarke, Sab & Russell Marks 18-11. 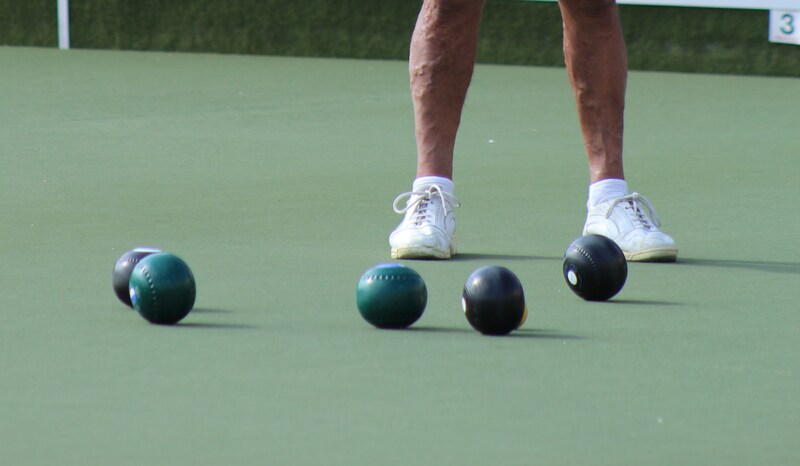 Monday 11th: South Alicante Bowls: SL Klingons home v LS Apollos; a good result 10-4, shots 127-80. 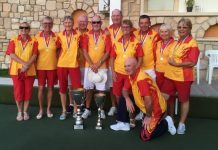 Winners: Kath Reid, Peter McEneany, Ian Kenyon 18-13, Lynne Morris, Ray Clarke, Tom Hill 36-8, Colin Jackson, Keith Phillips, Mal Hughes 26-9, Pam Lockett, June & Keith Jones 14-11. 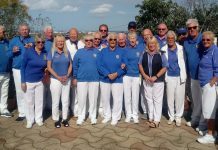 SL Trekkers; a great result away v MM Toreadors 14-0, shots 124 -48. 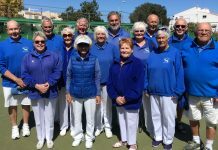 Winners: Shirley Verity, Jo & Jules Pering 23-11, Helen Hammond, Barry Roseveare, Scott Malden 33-9, Allen Bowen, Peter Fuller, Suzi Cooper 32-14, Irene Everett, Marina Beardsall, Vic Slater 16-14. 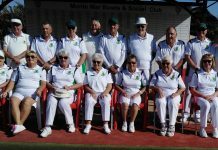 Unfortunately Monte Mar were not able to field enough teams so we had two 10-0 w/o results. SL Vulcans, home v El Rancho Raiders, a good result 9-5, close on shots111-105. 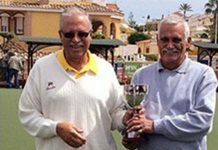 Winners: Dennis Jackson, Cas Blay, Drew Russell 24-12, Ian Ross, Chris Jackson, Brenda Brown 16-16, Doug & Fay Beattie, Geoff Shand 23-17, Ray Whatmough, Chris Brooks, Dave Steadman 23-15. SL Romulans, away v Horadada Falcons started their morning match but unfortunately the rain drowned it out; so it will need to be be re-arranged. 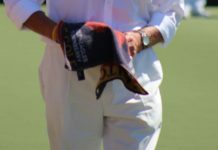 Wednesday 13th Winter League at home v Greenlands, good win 10-2, 101 shots-62. 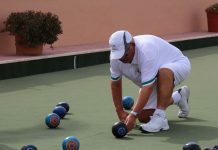 Winners: Giuseppe Galelli, Brian Pocock, Sabrina Marks, Mal Hughes 19-15, Shirley Verity, Ray Clarke, Jules Pering, Russell Marks 27-8, Kath Reid, Ann Holland, Scott Malden, Ian Kenyon 27-6, Lynne Morris, June Jones, Tom Hill, Keith Jones 15-12. 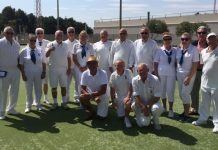 No Berleen match this week, so 2 San Luis teams played each other – thanks to the commitment of our members. After the battle on the green we enjoyed a great Xmas lunch together, including singing the “12 days of Xmas”!!! So that’s it now for all the league matches until 8th January. The Chicken drives and Vic’s hamper continue; check online calendar or on-site chalk board.